Thanks for connecting with OCAA! 陈霞芬听证会 - March 15, 2017 | "No discrimination against Chinese American! " 1. Please click "going" on 15th FB event page http://bit.ly/2mp5y77 to register and show support! 2. Hearing location: 100 E 5th Street, 45202. 3. Rally location: in front of the court house at Walnut and 5th st (close to Fountain Square). 1. For hearing, get seated before start or during break. 2. For rally, set before 11am and stand between 11-1pm. 3. Post and tweet actively on http://bit.ly/2mp5y77 and twitter.com/sherryhearing. Thanks! 4. Direct communication questions to Mr. Yumin Yin (Wechat Yumin_Yin, Cell 440-241-2141). 5. To find an OCAA volunteer, search color wristbands. "Court room is small. There is nobody else but Sherry's supporters"
"No discrimination against Chinese American!" No two-way communications devices may be operated and/or powered on in the hearing room; all cell phones, text devices, and all other two-way communications devices shall be powered off in the hearing room. Further, no cameras, recording devices, and/or transmitting devices may be operated，operational, and/or powered on in the hearing room. 请大家仔细阅读明后天的“Action Plan”。All attendees please read the "Action Plan" carefully for the most updated info on the carpool, map, directions, parking, Hearing and Rally rules, talking points, etc. 1. Please click "going" on http://bit.ly/2mGrI7A to register and show support! 3. Post and tweet actively on fb.me/sherryhearing and twitter.com/sherryhearing. Thanks! We need more people to join us on March 14th and 15th! (New York, NY, March 3, 2017) — Sherry Chen, a former award-winning American hydrologist who was wrongfully charged in 2014 of spying for China, will have a public hearing in her employment discrimination case against the U.S. Department of Commerce on March 14-15 in the U.S. Court House in Cincinnati, Ohio. Between 2007 and 2014, Ms. Chen’s work as a hydrologist at the National Weather Service was exemplary and helped to protect the American people from disastrous floods. Press coverage of her initial case, including from the The New York Times andCBS’ 60 Minutes highlighted the possibility of racial profiling. Although all charges against Ms. Chen, a naturalized citizen of Chinese descent, were subsequently dropped, she was nevertheless terminated from her job, despite having received highly positive work evaluations over the years. 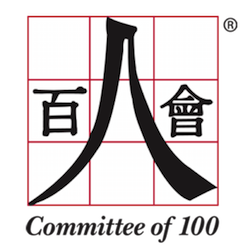 The Committee of 100 supports Ms. Chen’s appeal of wrongful termination of employment by the U.S. Department of Commerce, and urges interested community members and stakeholders to do likewise. In the time-honored American tradition of standing up and speaking out against injustice and discrimination, Ms. Chen is fighting for her equal rights to be treated fairly and justly. Ms. Chen hopes only to be restored to her job, which she loves. The people of Ohio and America ought not to be deprived of the services and contributions of an intelligent, hardworking, and loyal American. The Committee of 100 Legal Defense and Education Fund joins many other Americans who have contributed to Ms. Chen’s cause. Those who wish to show their public support can also attend her Merit Systems Protection Board hearing on March 14-15. Copyright © 2017 Committee of 100, All rights reserved.